Apple TV, Fire TV, Roku, Chromecast... if you're looking to stream online TV shows, films, and video apps in your home, where are you meant to start? Long gone are the days when only one or two streaming video players were available. Now there are countless ranges and iterations to grapple with, HDR and 4K capabilities to wrangle over, and compatibility with the rest of the gadgets in your home to think about. 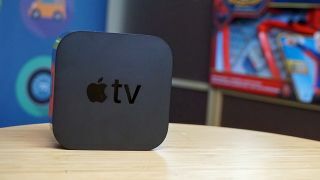 There's now an Apple TV streaming player and higher-resolution Apple TV 4K, a Chromecast and Chromecast Ultra, and a whole load of Roku streaming devices crowding the streaming market. Not to mention Amazon's Fire TV range, which now includes the 4K-ready Fire TV Stick and Alexa-enabled Fire TV Cube. Choosing one streaming device out of the lot can be daunting, which is why we’ve put together this extensive guide to choosing which streaming player is right for you – taking into consideration ease-of-use, content catalogue size and overall performance of each of the players. Let's get this streaming party started. When looking for a brand-new streaming video player it's important to find one that's easy to setup – especially if you're buying it for someone who might not know their way around technology like you do. That being said, all four of the major streaming video players are pretty easy to setup. Chromecast and Roku require you to connect the players to the web using a code that appears on your screen, while Apple and Amazon can connect to the internet without requiring you to go to a website to register them first. While all four major players differ in the variety of ports offered along their backside, there's one common thread among all of them: the HDMI cable. What does that mean for you? Well, any TV you want to hook up to one of these players will require an HDMI port (except in the case of the Roku Express which can use standard composite RWY cables). You should also have a relatively fast internet connection (greater than 15mbps) if you plan on streaming 4K videos. Winner(s): None of these players are hard to setup, but we quite liked how easy it was to setup both the Apple TV and Amazon Fire TV. Setup is one thing, but actually using the device on a day-to-day basis is another. After using each interface for a number of years, we have to say, Roku probably has the best, most-intuitive interface. Why? Everything is easy to find and relatively straight forward. There's a spot for everything in the home channel, and while Roku doesn't have the most interesting app selection in the world (we'll cover that in a second), it's not hard to find something to watch. Similarly, Amazon Fire TV devices have a pretty straight forward interface as well – however, it largely depends on you subscribing to Amazon Prime to function. If you're a Prime subscriber, you'll find recommended films and shows readily, with additional for-purchase options listed further on the home screen. While the old Apple TV rather enthusiastically offered you iTunes-based content above all others, its current operating system integrates all your other apps in a more helpful way. It has games, productivity apps, music and video streaming apps from a number of high-profile developers, offering a great selection of content while still keeping everything organized and easy to find. All of these options are clearly a lightyears ahead of Chromecast, which doesn't actually have a GUI as it's designed so you can simply 'throw' content at your TV from your phone or tablet. Winner: We like Roku's simple interface the best, but recognize that some might appreciate the Apple TV's flashy, colorful and well-organized aesthetic. So which one offers the most content? Well ... the answer is a bit murky, unfortunately, and it largely depends on which ecosystem you're tied into. The good news is that all four major players support Netflix and YouTube, the two staples of streaming video. Three of the four (Roku, Apple TV and Fire TV) also support native Amazon Prime Video apps as well – which is great for anyone interested in streaming award-winning hits like Catastrophe and Transparent off Amazon's video service. At least you can rest assured knowing that whichever box you buy, you can watch most of your favorite shows. Well, on Apple TV you have the ability to watch anything from an iOS device thanks to AirPlay – a technology that takes whatever you're seeing on your screen and sends it to your TV. That includes photos, music and more, and it's pretty convenient if you're big on Apple devices. For Android fans, you've got a system called Google Cast that works much in the same way for the Chromecast and Chromecast Ultra. Pick out what you'd like to see on big screen, and press the Cast button to send it to the TV. So what do Roku and Amazon bring to the table? A little thing called universal search that helps you track down the best places to stream shows and movies. Search "Guardians of the Galaxy" (pictured above) on either device, and you'll see a list of every streaming service offering the film, along with a price for each. This is really handy if you're a thrifty spender and you don't care where content comes from. 4K and HDR have become two big buzzwords in televisions over the last few years. 4K resolution, also known as Ultra HD, refers to the amount of pixels a device can process and display, while High Dynamic Range (HDR) refers to the quality of each of the pixels in terms of color depth and contrast. 4K is increasingly expected of streaming devices, with all four platforms offering 4K version of their gadgets. Apple 4K TV, Chromecast Ultra, Roku Premiere+, Roku Ultra, Amazon Fire TV Stick, and Amazon Fire TV Cube all offer 4K and HDR streaming. That being said, Roku is the only streaming device that makes finding this content a cinch by providing a dedicated area on its interface for 4K content. Winner(s): Every platform offers HDR and 4K streaming now, though it's worth checking you're getting a compatible model. Who's the winner? The viewers. In our opinion, none of these players replace a traditional game console (though the powerful Nvidia Shield gets pretty close). Of the four we've explored so for, Apple TV was built with apps and gaming at its heart and probably offers the biggest diversity on the matter. Roku has a few titles on its store, but the offering isn't great. It's a similar story for Amazon Fire TV and Chromecast, the latter of which requires you to download games from either the Apple App Store or Google Play Store and then Cast them to your TV. Winner: The Apple TV has this one sewn up, but really Nvidia Shield is your best bet. If you really want to stream games and already have a PlayStation, you may just want to check out PS Now. Obviously a remote is a relatively important tool, and while it probably won't be a deal-breaker to have a less-than-ideal control pad, it's worth exploring which one of the four devices has the best one. In practice, the normal Apple TV and Amazon Fire TV remotes are the most similar. Both offer built-in microphones and have buttons for going to the home screen and back one screen. Roku, similarly, has buttons for all of the above as well as dedicated buttons for popular streaming services like Netflix or Amazon Prime. But the best of the bunch is Amazon's new Alexa voice remote, which adds mute, power, and volume controls to the standard-issue remote. You'll now get it bundled in with new Fire TV Stick devices. The black sheep here is Chromecast, which doesn't offer anything in the way of a remote and instead asks that you use a phone or tablet as a controller. Winner: Amazon's new remote is the clear winner, though Chromecast is the only one that gets a thumbs down. In terms of value, Chromecast is the real winner here – it only costs $30/£30 for the 1080p streamer and $69 (£69 or about AU$90) for the 4K Chromecast Ultra. For an economical way of turning your dumb TV into a smart TV, it can't be beaten. That said, if idea of casting content sounds a little too technical, the Roku Express and Fire TV Stick are also super economical, costing just $29 (£29) and $39 (£39), respectively. Both options offer stunning value for money. When you're talking about full-size boxes, the Roku Ultra is probably the best value for your money at $99 (about £80, AU$130), with the Amazon Fire TV and Apple TV coming in at a close second costing around the same. Winner: Chromecast wins for its incredible value for money. VERDICT: what's right for you? Amazon Fire TV Stick is perfect for the Amazon Prime watcher in your life or early smart home adopter. Alexa, Amazon Fire TV's built-in AI, can help direct you to tons of new shows at the best price, but will obviously steer you towards Amazon titles and services most of the time. There are models for both HD and 4K. Chromecast and Chromecast Ultra are for the DIYers in your life. They are the most barebone of the bunch, neither one offering a remote or an interface to speak of, but that's part of the appeal. They allow anyone in the house to stream content from their mobile device making it a great companion for parties where everyone wants to share a funny YouTube video. They're also darn cheap. Apple TV is naturally best for those in the iPhone / iOS ecosystem with a host of neat apps and games, while the Apple TV 4K brings the platform up to date with 4K / HDR content. It's one of the more expensive options on the list, but it has the most potential as it continues to evolve. Roku is our all-around favorite streaming video player platform. It might be basic by some people's standards, but it knows how to sniff out content from any of the major streaming services and can play nice with everything. It offers 4K and HDR streaming and the hardware is pretty future-proof. Best Roku streaming device: what's the best Roku streamer out there?